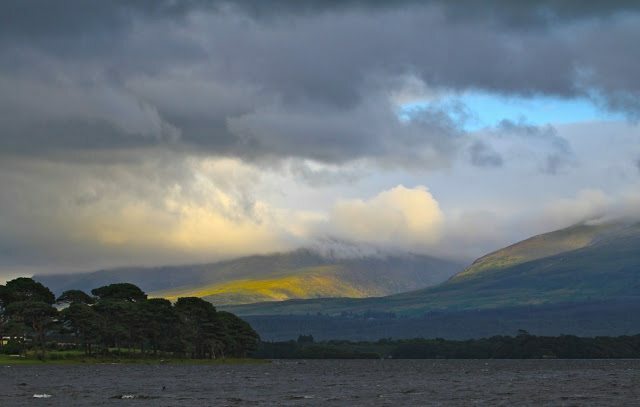 Every year there is one sure thing, we will make a journey out to the west of Ireland where the Atlantic crashes against the shoreline of Europe, last stop before New York. There will be clouds, there will be mist and there will be a sense of leaping off the edge of the world and into the benign . 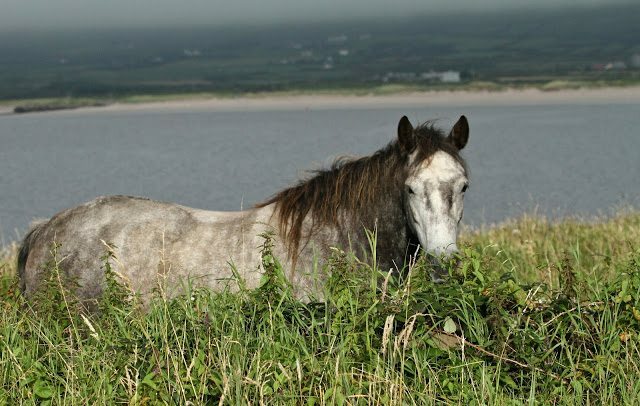 . .
On a small strip of land between the sea and the wall of the house, this beautiful horse has been casually grazing. He is a constant presence and from the house can be seen peeping up over the stone wall, his dappled coat blending in perfectly with the . . .
….and in no time I began to forget….. There were 5 kinds of weather in that sky and the mist hanging over the mountains made the beach disappear in an endless haze. Sun filtered through from time to time and the surfing classes, picnics and family gatherings continued, in spite of sprinkles of rain, . . .